This is a die-cut Koolmotor Oil porcelain sign. This particular Koolmotor Oil sign is predominantly green and black with a red banner at the top. 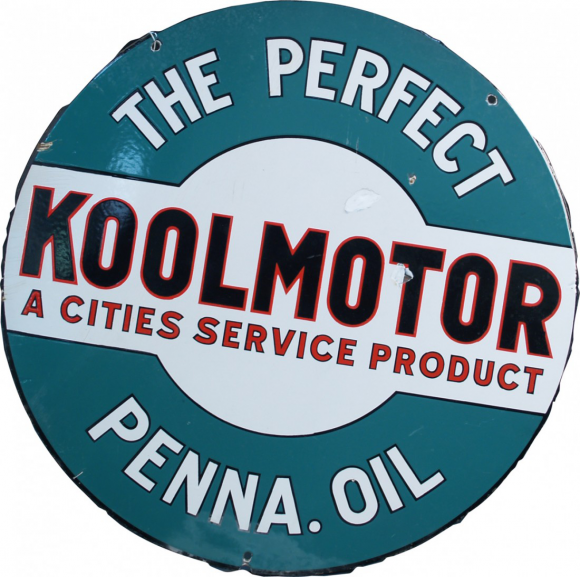 It reads, “Koolmotor Oil, The Perfect Penna. Oil, Cities Service Oils, Once – Always”.